The Sowerby Bridge Christmas lights switch on will take place outside the Village restaurant on Friday 7 December, 6:00pm. 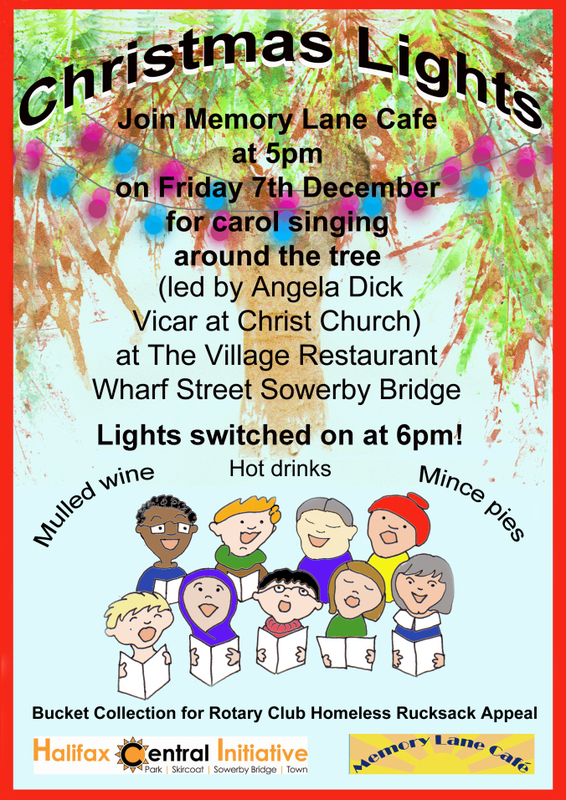 Festivities will start at 5:00pm, so join the Memory Lane Café for some mulled wine , and carols round the tree. All welcome! This entry was posted in Dec, Events, Sowerby Bridge, Staying Well and tagged Memory Lane Cafe.